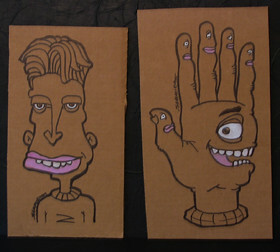 I painted these with acrylics on corrugated cardboard. 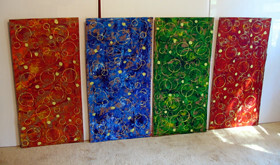 Each piece is about 17"x34". 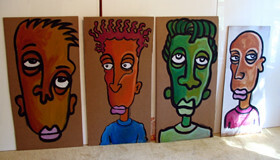 They will be placed between the slats of public benches sometime this evening... hopefully. I was so hoping you were going to join me this weekend. Just figure I'm jwarming up the village for YOUR onslaught.